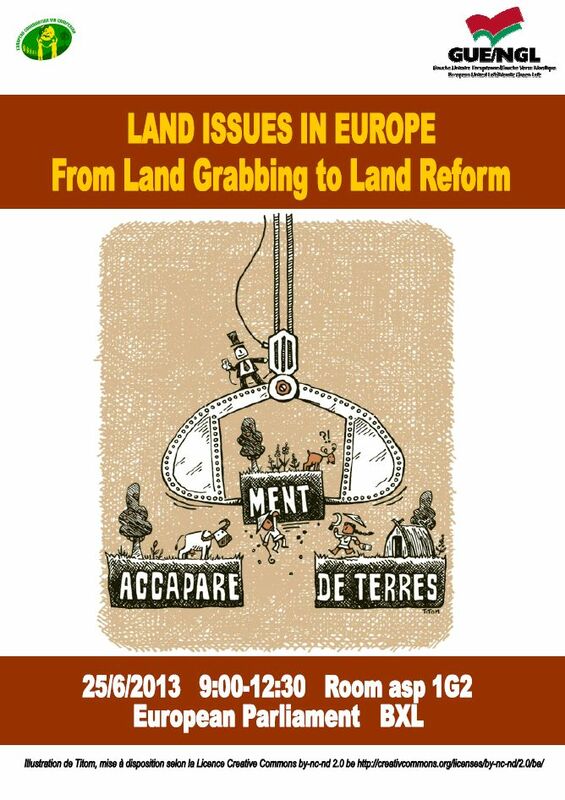 - Eva García Sempere, Coordinator of the Spatial Planning and Environment Unit of IU-Andalusia : "Land Grabbing in Andalusia (Spain): Preparation of the Land Public Bank project"
10h30 – 11h00: Press Conference/ Coffee break. 11h00 – 12h10: 2nd Panel - Are the EU and national policies favoring equal access to land and the entry into farming by prospective (young and small) farmers? - Tassos Haniotis, Director - European Commission, DG Agriculture - Economic analysis, perspectives and evaluations.